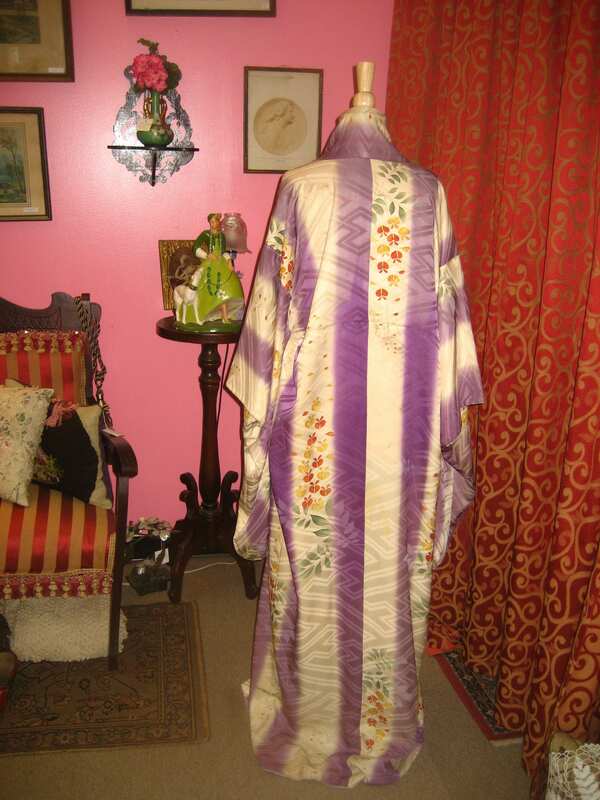 Early 1900's , 46 chest, full length Japanese traditional kimono. Early 1900's , 46" chest, full length Japanese traditional kimono. 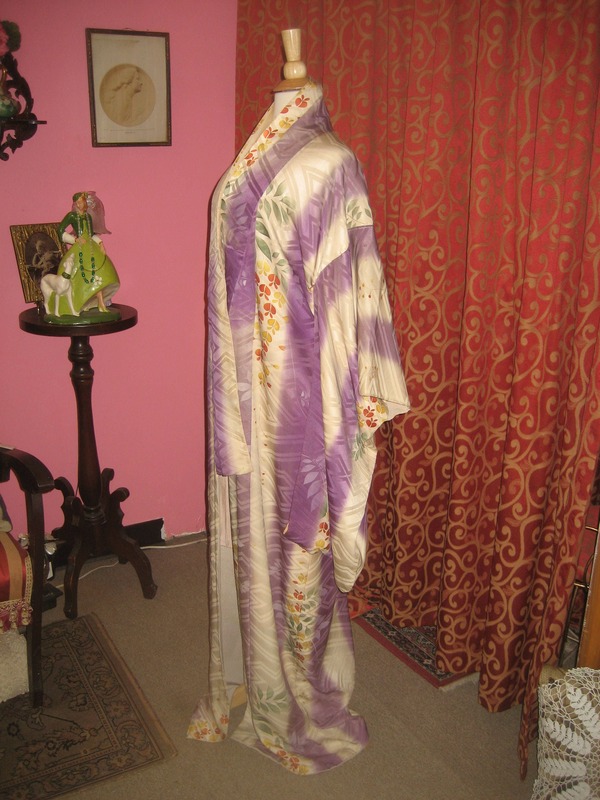 Early 1900's , 46" chest, full length Japanese traditional kimono. 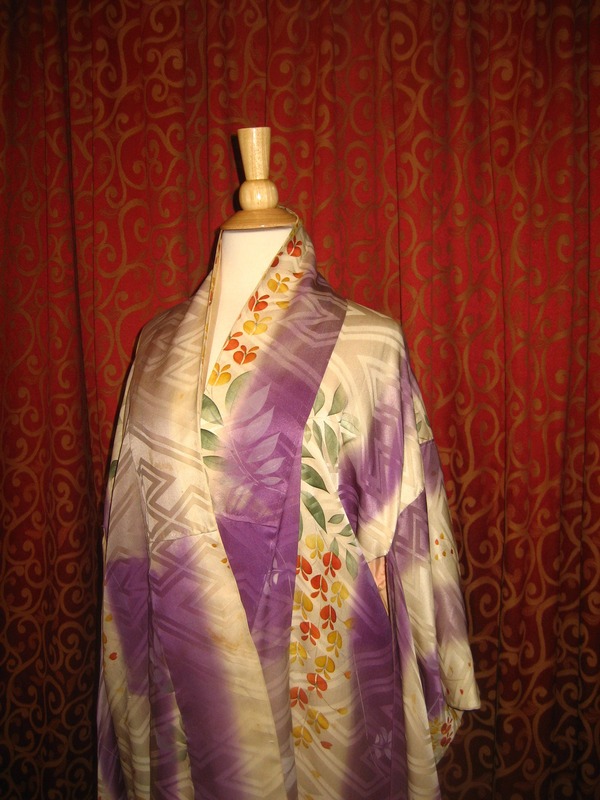 Kimono has long square sleeves, with open for hand at corner of sleeves. The kimono is all hand pieced (kimonos were cleaned by taking pieces apart and cleaned individually) with a somewhat trained back. In front the lapels are sewn down and from knee to back of neck. 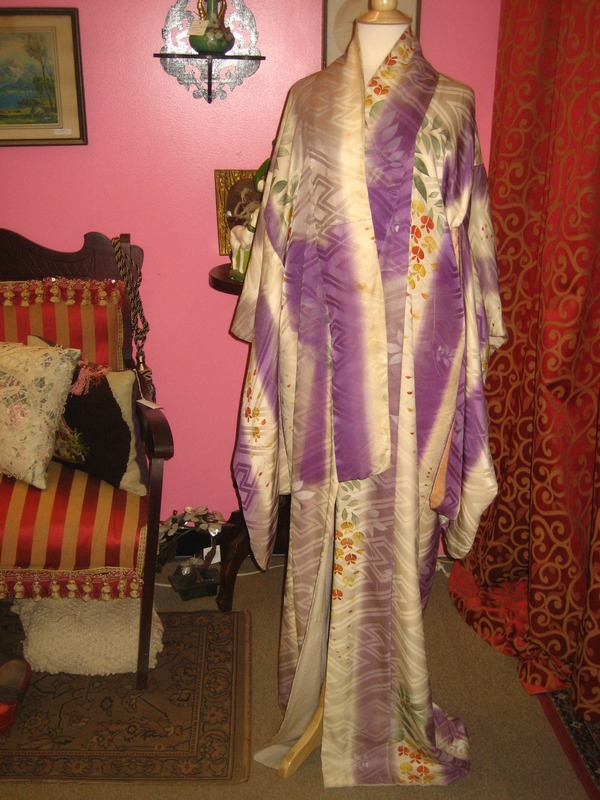 Interior of kimono is lined in pink silk, including sleeves, to the knee, with the bottom interior of grey silk. 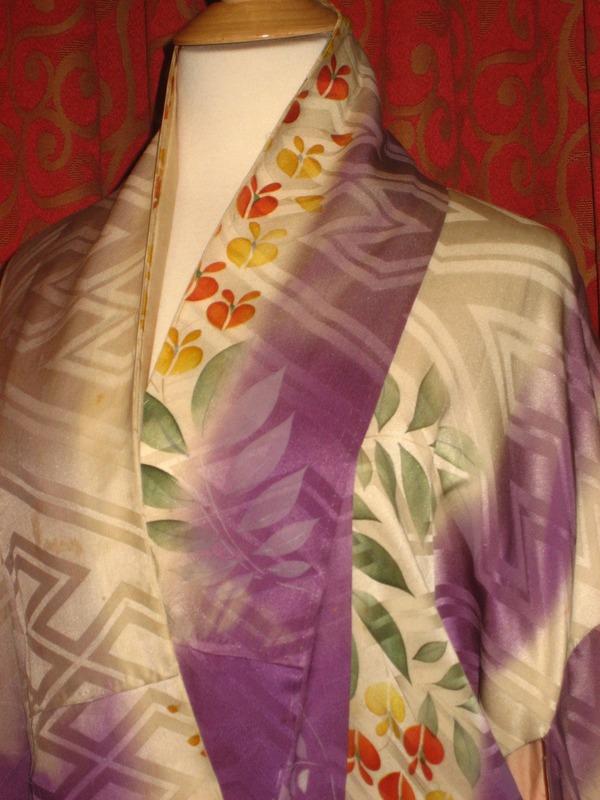 The outer shell of the kimono is of a heaver silk of white and purple silk, with sprigs of cherry blossoms and leaves throughout kimono.